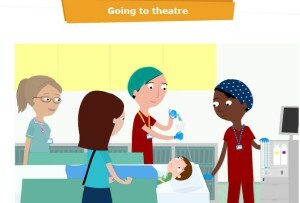 This video shows what happens both before and after a child is taken to theatre for an operation. It can be used to explain the process of having an anaesthetic and to reassure a child or their family before an operation. The video was produced by ForMed films CIC and funded by Bristol Royal Children’s Hospital.